Home / Blogs / What is microsilica? 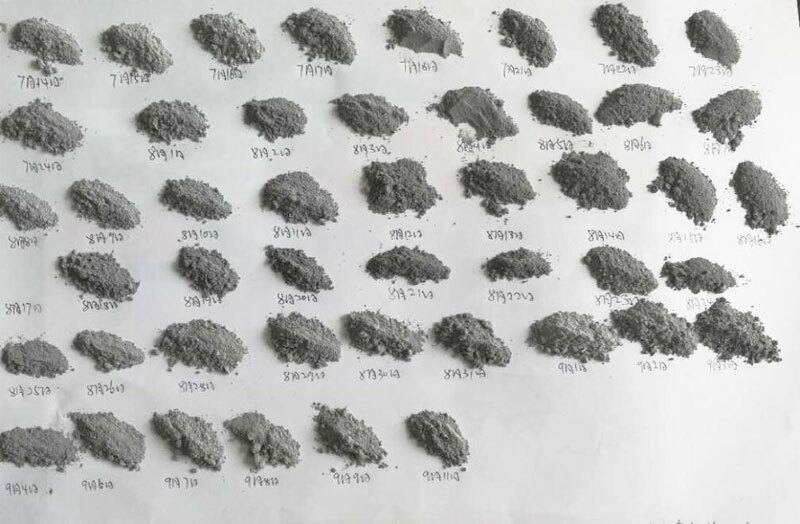 Microsilica (silica fume) is a byproduct from silicon metal or ferrosilicon industries,is an amorphous silicon dioxide – SiO2 which is generated as a gas in submerged electrical arc furnaces during the reduction of very pure quartz. As the molten metal is produced, a silica-based gas is emitted. This gaseous fume, as it rises, cools rapidly and forms extremely minute,Amorphous, spherical particles. The microsilica is collected in a bag house, a system for filtering the hot air and gases vented from the furnace. This gas vapor is condensed in bag house collectors as very fine powder of spherical particles that average 0.1 to 0.3 microns in diameter with a surface area of 17 to 30 m2/g. Fineness: the fineness of the silica fume is less than 1μm, and the average particle size is 0.1 – 0.3 μm, and the specific surface area is 20 – 28 m2/g. The fineness and specific surface area are about 80-100 times of cement and 50-70 times of fly ash. Particle morphology and mineral structure: during the formation process of silica fume, the amorphous phase is formed by the action of surface tension due to the effect of surface tension during the formation of phase change, and the surface is smooth. Some are aggregates with multiple spherical particles adhered together. It is a very high surface area and highly active volcanic ash. With silica fume, tiny spheroids can be lubricated. 1. Instead of pure aluminum oxide as refractories. 2. The production of amorphous and shaped refractory products as additives makes the strength and high temperature performance greatly improved. 3, the overall casting ladle coagulant. 1, increase strength: make the compressive strength and flexural strength of concrete increase greatly, adding 5-10% micro silica fume, the compressive strength can be increased by 10-30%, and the flexural strength will be increased more than 10%. 2. Increase the density: the impermeability is increased by 5-18 times, and the anti chemical ability is increased by more than 4 times. 3, frost resistance: after 300-500 rapid freeze-thaw cycles, the relative elastic modulus of micro silica powder decreased by 10-20%, while ordinary concrete decreased to 30-73% through 25-50 cycles. 4. early strength: micro silica concrete makes the induction period shortened and has the characteristics of early strength. 5, anti abrasion and anti cavitation resistance: punching resistance of micro silicon fume concrete improve 0.5-2.5 times than ordinary concrete, and anti cavitation ability is improved 3-16 times. ELASTOMERS/POLYMERS – used as a filler in rubber or plastic. FERTILIZER – used in the defluorination process during the production of dicalcium phosphate (animal feed). OIL & GAS WELL – used in down hole grouting operations, improves flow (lightweight) and decreases permeability. FIBER CEMENT – used to improve strength and permeability of corrugated roofing panels. SHOTCRETE – is sprayed concrete, silica fume reduces rebound & increases bonding strength, productivity and savings in material cost. Wallboard – used in commercial gypsum and concrete wallboard products for increased performance.